Here are two helps for teaching the book of Ezekiel. The first is for teaching Ezekiel 38-39. Those chapters describe the battle of Gog and Magog that is prior to the Lord’s return. In those chapters it mentions a bunch of nations and places that will be involved. The older Institute manual said what each of those places were that would fight against Israel (Iran, Russia…) while the newer manual (post 1989) has it taken out because of the post cold war world environment. It is very interesting as these relationships are being formed in the Middle East today. The second help has to do with the temple described in Ezekiel 47. Sometimes students worry the Second Coming could come any day. This glue in and quote from Joseph Smith make it very clear that certain events (such as the building of the temple in Jerusalem) MUST happen before the Lord’s return. It is fun to read the quote and try to identify which have happened and which have not. Here are a couple of helps for teaching Isaiah. 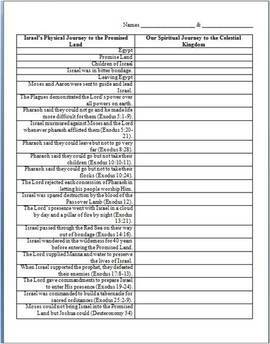 Paraphrasing Practice Worksheet: Whenever teaching scripture books with difficult wording (Like Isaiah, Ezekiel, Paul…) I’ve often used this worksheet to get kids to slow down and translate the scripture English in to modern English so it can be understood. During the lesson we talked about translating into “Hi-skulies” (High School-ise = The language of High School). This worksheet takes common phrases that have been changed and flowered up. The kids will have fun trying to figure out the common phrases. The answer key is on the second page. I also have included a PowerPoint Presentation I have used when teaching the Book of Isaiah to Seminary Teachers. ​It is a shame we can’t spend more time in Psalms and Proverbs. Here is a worksheet that will help your class get some to some of the highlights of Proverbs. The first two pages are the handout for your class (you can copy front and back). The last two pages are a key you can use. This has been one of the most enjoyable activities I have done with Seminary students. I got the idea years ago from Brother M. Ashton and have used it ever since. The first time I tried it, I wasn’t sure how willingly the students would participate. But I have always been pleasantly surprised with how willing and amazing their personal psalms of praise were. The creative writing assignment on the worksheet is pretty self explanatory. After they have all turned their papers in, read the ones that you have been given permission on. After you read those I read the other’s privately and sometimes I have asked again if it is ok to read their publicly. After they hear others, they often are then ok with people hearing theirs. This coming March 23-24, 2016 is Purim; the Jewish holiday that is based on the story of Esther. So you might want to adjust your teaching schedule so that you teach Esther on the same day that Jews all over the world will be studying Esther. Purim beings on sundown on Wednesday, and ends on sundown Thursday. Make it into a celebration like the Jews do. Wikipedia http://en.wikipedia.org/wiki/Purim gives a lot of great information about the celebration. It also explains how it is celebrated and some good cookies (Hamantaschen) that are part of the celebration. The main part of the celebration is an interactive reading of the story of Esther called the Megillah. You can do this by simply assigning parts for Esther, Mordecai, Haman, Wife of Haman, King Ahasuerus, Memucan (the king’s councilor), crowds, and you as the narrator. Often they will dress up for this. The audience will also use noise makers to drown out the name of Haman (the villain) every time it is said. With all the fun, make sure your class doesn’t miss the powerful principles in Esther 4:14. The lesson manual teaches this well and I also like the following quote: “To every man there comes in his lifetime that special moment when he is figuratively tapped on the shoulder and offered the chance to do a very special thing, unique to him and fitted to his talent; what a tragedy if that moment finds him unprepared or unqualified for the work which would be his finest hour.” – Winston Churchill. Here are 2 worksheets that will work great with teaching 2nd Kings. The first is matching with the many miracles of Elisha. The second is a worksheet that uses the teaching ideas in the Teacher Resource Manual for 2nd Kings 6 through the end of 2nd Kings. There are so many great lessons about temples, and temple dedications in 1st Kings 6-9 with the building of King Solomon’s Temple. This worksheet will take you through many of those lessons. Here is a worksheet based on the great teaching idea from the Student Study Guide for 2nd Samuel 11. I like to start the chapter asking them to start reading the first verses and to look for where King David started to go wrong in the chapter. A great discussion about staying away from temptations can come from this. The Israelites wanted a king so they could be more like the other people and nations around them. They wanted to fit in. After you teach 1st Samuel 8, this worksheet will help you and your students explore this same idea in our lives. Make copies and break students into pairs to go through the worksheet. Then go through it as a class. After asking the class how similar church members are in that area, make sure you then ask, “How can we do better as Church members?” Make sure to read President Kimball’s quote in the manual. This worksheet leads students into many of the key principles found in the book of Deuteronomy. You can use it as a review, or as you are diving into Deuteronomy together. 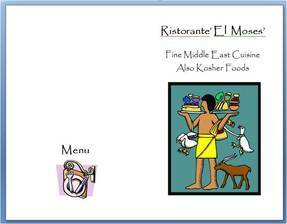 Make a dual sided copy of the pages and fold it to look like a restaurant menu. Then simply have them follow the instructions inside. Once they have made their selections, read Leviticus 11 together to see if they made the appropriate Kosher selections. For a prize to those who guess correctly, have something Kosher like a pickle. All the answers (except maybe for 2) are in Leviticus 11 so no need to search other sources. The verse which decides the answer are the cents of the price. For instance, Alligator Stew costs $10.42 so verse 42 has the answer for that menu item. The right answers are Locust Broth, Goose Soup (not mentioned as bad), Heavenly Halibut (has scales and fins), Ox in a box, Grasshopper Goulash, Goat in a Mote, Beetle Sherbet, and Cow Custard. But don’t just give them the answers. Have them dig in and discover the answers in the verses. Only tell them about the “cents” clue after they have guessed. It seems I am a bit behind many of you in your teaching schedule right now. So I figure it might be best to post all 4 of my ideas for the book of Exodus now. So here it goes. Hope this isn't too much at once. 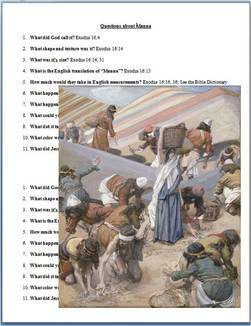 Here is a worksheet I've used to get my class familiar with Manna that is spoken of in chapter 16. This is a worksheet that is probably best to use as a review of Exodus 5-25. But you can also use it while learning the story of the Exodus. Once your class sees that the Children of Israel can be compared to us, there are so many neat insights for us in the Exodus story. The second page is the Key. 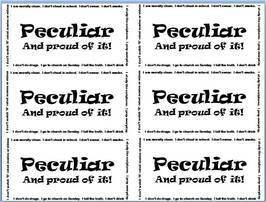 Exodus 19:5 Peculiar -And Proud Of It! Here is a glue-in that I've used to help teach Exodus 19:5. On the sides of the glue-in are all of these statements about how Church members are supposed to be peculiar from the world. I have had a student read one and then ask, “How are we doing with that one? Are members of the Church different than the rest of the world in that way?” Then I have challenged them and discussed the next statement on the side. It makes for a great discussion about how we are to stand out from the world. In the Old Testament it can also be used in Deuteronomy 14:2; 26:18; Psalms 135:4. Exodus 20 -The 10 Commandments! 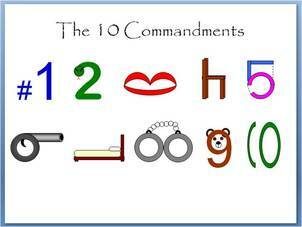 This graphic is to help students memorize the Ten Commandments and what order they are in. By the end you could be able to mention a commandment “Honor Father and Mother” and they could be able to say which one it is, “That’s the 5th commandment”. When giving a worksheet like this, I like mixing up the class and giving them a partner to work with that they might not usually work with. Then after a set time go through the answers as a class and make sure and take time to focus on the big life changing, take home principles. On the third page is some the key to the comparisons between Joseph and Christ. Here is a worksheet that helps your students discover the characteristics of a great woman (or man) to marry. It uses Genesis 24. The second page has a key. The title plays off of the movie Johnny Lingo and his 8 Cow Wife to Isaac and his 10 Camel Wife. Hope it is helpful. The first two pages are some graphics that help teach the story of the birth of the 12 Tribes of Israel in Genesis 29-35 and about the Birthright. The first page is animated to help see who comes first chronologically. The third page is a glue-in to help your students refer back to the information. Here is a glue-in and also worksheet. On the first page the right hand side is partly missing so students can research and discover the comparisons to Jesus Christ, with a partner. The second page is for if you just want to have a glue in showing the comparison. -Trust God, even when He doesn’t seem to make sense. -God will sometimes take us to our limits to strengthen us. "Two Truths & A Lie"
2 Nephi 26:24 and the flood was an act of love to the righteous, wicked, and the unborn. Genesis 6:11-12 about how violent media is worse for us than some think. At the beginning of the school year, it is good to give your students an overview of storyline of the Old Testament. This is to help them see the big picture and where they are at any particular point in the year. Attached is a graphic that symbolizes all the biggest events. The PowerPoint version has a key with it and one slide that numbers them. I have seen some teachers put something like this up with poster paper. You can also just print a copy for each student and have them say what each even is as if it was a quiz. I apologize that I can’t give credit to who made it because I honestly don’t know. I’ve seen this for about 20 years. If anyone knows the artist, please let me know so I can give them credit. Check out the different attachments to see what works for you. Do you know how to make a poster from a printout like this? Most all of your ward meeting house libraries still have an old fashion overhead projector. Print the 8 by 11 page in your printer then bring to your ward’s printer in the library. Stick in an 8 by 11 piece of overhead transparency paper and copy onto it the image. Then you can project the image onto the wall or poster paper, any size you want with the projector. Then just trace the image onto the poster. This graphic can be used in a few ways. It can be used for helping your class learn the Old Testament books in order. Try using the song on page 114 of the Children’s Songbook to help with that. It also can be used to show the class how the Old Testament books are grouped and how they are not in chronological order. Have your students group the books in their own scriptures on the page just before Genesis 1. The Hebrew words are what Jewish people use to refer to those things. For instance a Jewish person would call our Old Testament, the “Tanakh” rather than the Old Testament. Make sure you use the back of your throat when you say that. When you download this, you will see it is in color and black & white. The black & white is nice because it can be blown up (cheaply) at the copy store and then you can use colored pencils and make it into a poster for your seminary wall. Know how many books are in the Old Testament? How many letters in OLD? (3) How many letters in the word TESTAMENT? (9). Put them next to each other to make 39 books of the Old Testament. Want to know how to remember how many books in the New Testament? How many letters in NEW? (3) How many letters in the word TESTAMENT? (9). 3 * 9 = 27. So there are 27 books in the New Testament. If you thought getting your students to read the Doctrine and Covenants was challenging, did you know that If you took the page count of the Book of Mormon, D&C and New Testament combined, the Old Testament would STILL have more pages? Luckily your students will only be required to read selected chapters from the Old Testament. Really, it is the best of the best parts of the Old Testament. It will make the page count about the same size as the Book of Mormon or New Testament. In order to finish, they should read about 2 pages a night, during the regular school year. But you can give your kids an advantage now in the summer by giving them one of these bookmarks that have the required reading. The book mark corresponds to the requirements on page 593 of the new Old Testament Seminary Teacher Manual. The two black squares show where they should be at the quarters and the second table (1 Samuel) is where they should be at the semester break. Hope this will help you and your students. PS. The perforated Scripture Mastery Cards this year also have a reading chart on it. BUT it is for the entire Old Testament. Again, they are not required to read the entire book this year. Just the selections.